Let’s take a look at the best motherboards for gaming for March 2018. When you’re talking about gaming PCs, most people always point out the best graphics cards they could buy but they often overlook one important component in a gaming PC: the motherboard. The motherboard is an essential part of the PC as it houses your computer’s most important components such as the graphics card, CPU, etc. In 2018, the current and most popular line of processors is Intel’s new Coffee Lake processors which followed the Kaby Lake line. Both of them use the same 1151 chipset, however, the former requires users to pair the CPUs with the newer Z370 boards. Now, as with all other gaming components, there are a lot of motherboards out there that caters to the mass consumer market. 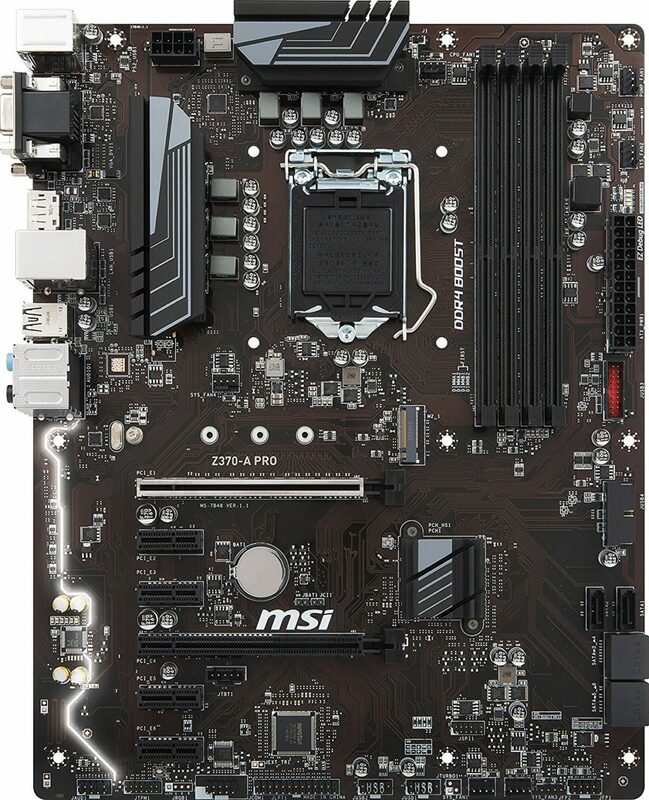 There are cheap and inexpensive motherboards that are perfect for people who are on a budget. There are also some mid-tier gaming motherboards that sport some nifty features and, of course, there are also some expensive motherboards that are perfect for overclockers. In this article, I will go over some of the most popular gaming motherboards in 2018. I will separate the gaming motherboards based on the price so that you can instantly look for what’s best for you based on your budget. But before buying motherboards, what do you actually need to look at when you’re going to get one? If you want to know more about choosing a motherboard for your PC, visit this comprehensive guide from Tom’s Hardware. I will start off with some of the best budget-friendly gaming motherboards. These motherboards are ideally suited for people who do not want to spend a lot of money on a gaming motherboard as they will want to spend it on something else, like the graphics card, for example. 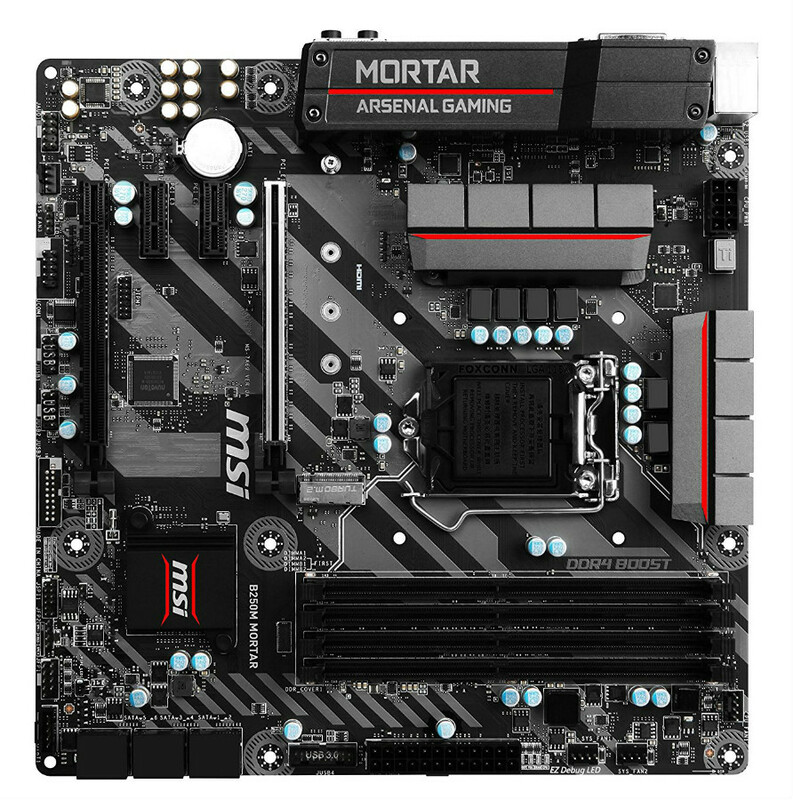 The MSI B250M Mortar is easily one of the best-looking motherboards in the affordable bracket which come packed with all the essential features you need to build a decent gaming build. This model features a black, gray and red theme with LEDs, launching it past its competitors in terms of aesthetics. This model forgoes the top of the line Z270 chipset making it affordable by at least $50 when compared to the next best thing. You still get 12 PCIe lanes which are enough for a GPU and an M.2 SSD for snappy performance. The MSI B250M Mortar is pretty well-equipped with since you get 2 PCIe slots for your components and an array of SATA and USB ports for your storage and peripherals enabling builders to create a fundamentally complete gaming rig. Since this model is a Micro-ATX model, owners can explore more compact systems for smaller desk and energy footprints without a penalty to performance and satisfaction. 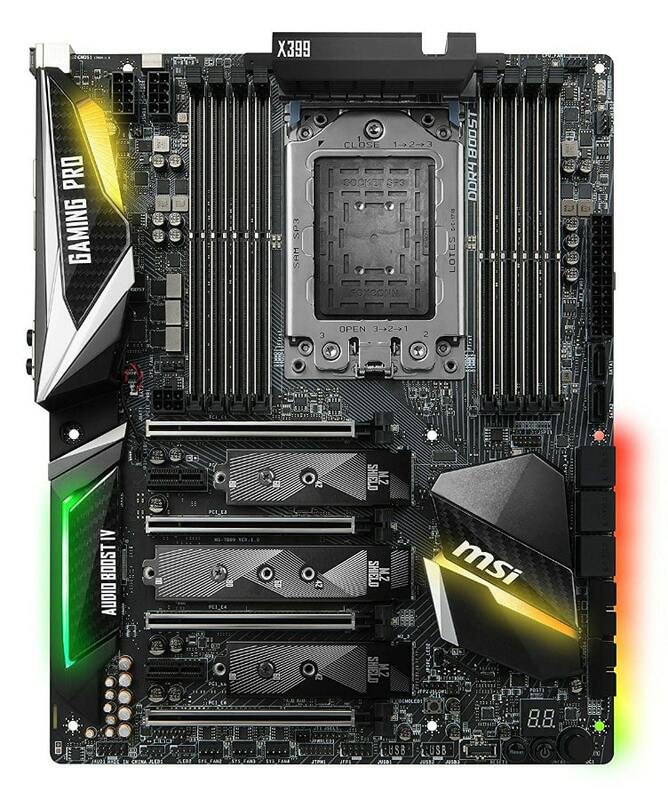 The MSI Z370-A Pro is a thrifty builder’s dream due to its very low price which allows users to set aside more cash for a faster GPU or a larger SSD. The board doesn’t pack the best components into its feature set nor does it include attractive aesthetics, but it is hard to beat at its price range. For less than $150, the MSI Z370-A Pro allows users to pump out higher overclocks for Coffee Lake processors and DDR4 memory than some higher-priced models. If money is tight, opting to go with this board will provide an option to get the best possible processor which will essentially enhance your computing experience. As mentioned, this model doesn’t include nifty extras such as a high-end sound chip or fancy controllers. However, MSI always utilizes military-grade capacitors and VRMs across their entire range, ensuring that durability and reliability for MSI-based builds are always impeccable. The Gigabyte Z370 Aorus Gaming WiFi offers a convincing package at a very friendly price. The feature set includes a Gigabit network controller from Intel along with wireless internet and Bluetooth connectivity which you will usually find in higher tiered products. You also get Creative Sound Core 3D audio with this model, so an instantly better listening experience is guaranteed. Gigabyte boards are usually synonymous with topnotch components and decent overclocking performance. The board supports massive OC limits to DDR4 memory, so achieving higher clocks should be easier for most users. 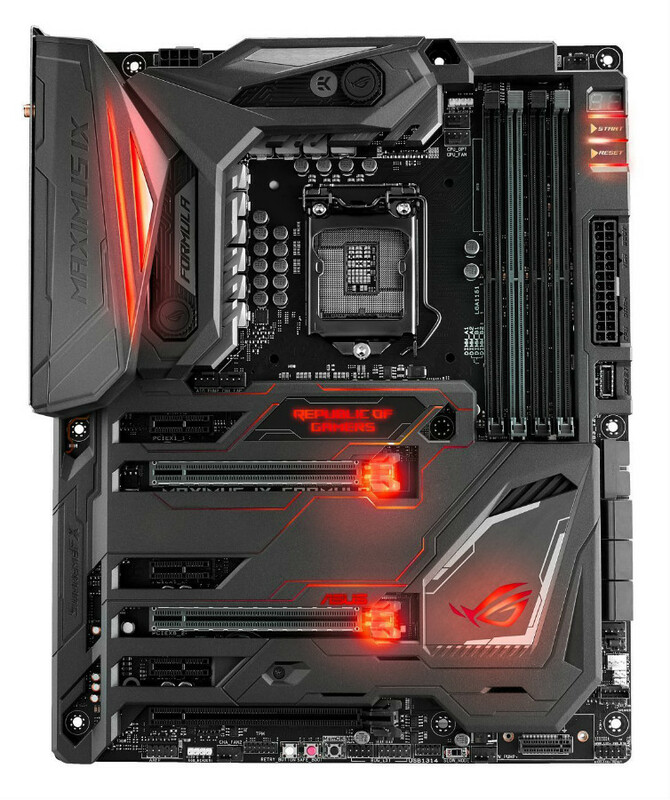 Finally, the Gigabyte Z370 Aorus Gaming WiFi sports one of the nicer looking layouts and RGB lighting when compared to the rest of the budget boards. If you are building with aesthetics in mind or if you chose a tempered glass or open case, this budget offering is a great choice. The Gigabyte AB350N Gaming Wifi is an ideal Ryzen motherboard for a low-cost build or if you want to explore LAN box building. For its sub $100 price, you get a sufficient set of USB 3.0 slots, built in wifi functionality, plus a little sprinkle of RGB bling for some aesthetic value. RAM slots, cooling options, and an awkward layout for cases other than MATX are some of the compromises you have to live with, but at least this little beast doesn’t sacrifice performance. This model uses a 4+2 phase power design which is modest for overclocking boards, but the ATX 12V utilizes a 12-pin connector for stable power delivery. 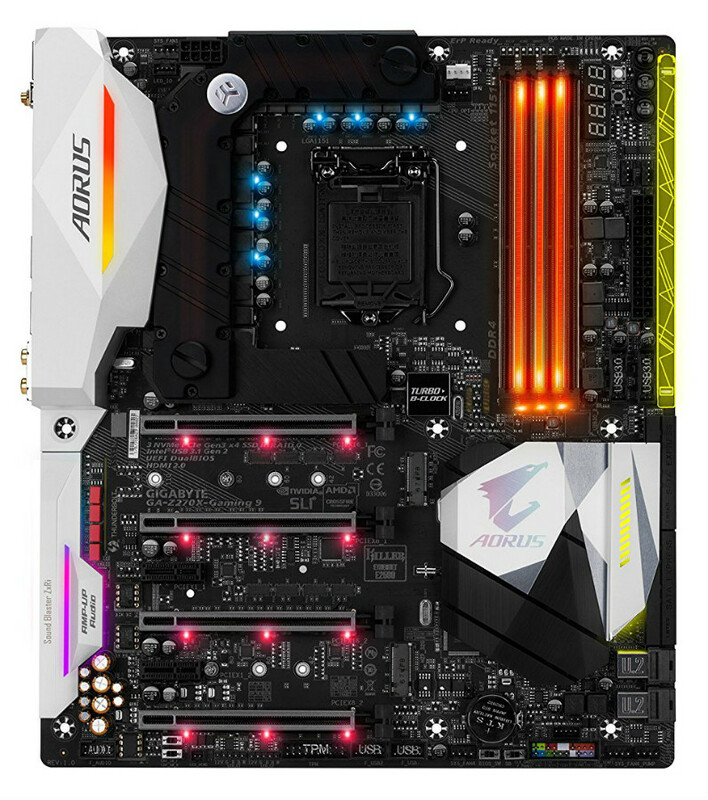 Gigabyte squeezed in a lot of features in the PCB which made the processor placement unusual for a board like this, but in return, it made the device comparable to a full-sized ATX. In testing, the Gigabyte AB350N Gaming Wifi can overclock your chosen Ryzen CPU with little to no differences from its full-sized cousin; the Gigabyte X370 Wifi. This option loses out in some computational workloads such as benchmarking, but its gaming and media performance is reasonably good for a budget board. If you want a to push the performance of your LAN box by overclocking, know that as long as you have a well-planned cooling solution, this budget board will deliver. The Midrange category is where the cutthroat competition happens between the different brands since this is where both enthusiasts and thrifty buyers search for the best gaming motherboards. Typically, the products included here and their many counterparts have a price tag which hovers above a hundred bucks. All of the models in this category now have the top-end Z270 chipsets which allow for fantastic features such as multi-GPU support, higher PCIe, and memory bandwidth, plus a whole lot more. This section of the guide is the gateway into the world of enthusiasts and overclocking, but not at the prices of the extreme models. Furthermore, they are much easier to find since it is currently the most popular motherboard chipset on the market and support for these motherboards are much better compared to any other motherboard chipset. 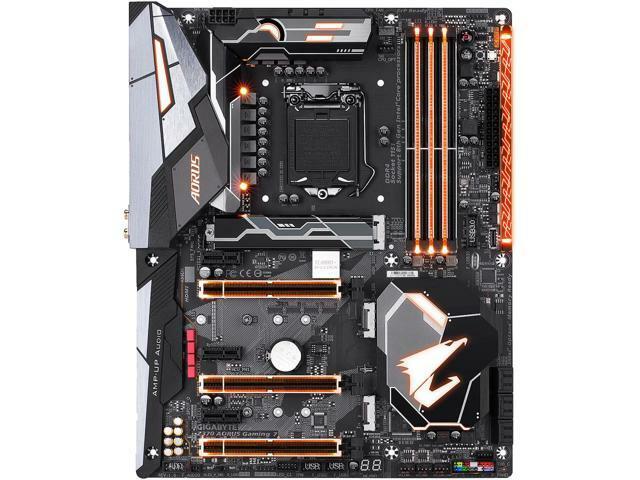 The Gigabyte Z370 Aorus Gaming 7 features great overclocking potential along with high-end components for the best possible performance at a decent price. This product features enhanced quality audio components and ultra-durable capacitors and VRMs for resistance against wear and tear when pushing the limits. Connectivity and storage won’t be a concern since you get to enjoy dual USB 3.1 Gen2 controllers along with triple M.2 slots for numerous storage and accessory configurations. There are five fan headers with Smart Fan control for better thermal control when the system is running hot. Aesthetics is one of the best in the business as well thanks to the well-designed Ultra Durable Armor and RGB lighting. The Gigabyte Z370 Aorus Gaming 7 and its LED headers are RGB Fusion compatible, allowing owners to control lighting schemes if the ecosystem is fully compatible. The EVGA Z370 FTW is one of the best overclocking options due to its significantly improved cooling solutions that shouldn’t throttle your Coffee Lake CPU. This advantage also makes this model more energy efficient at similar voltage and clock settings when compared to its competitors, making it a top choice for the electricity conscious. The EVGA Z370 FTW, however, loses out when it comes to extras such as RGB lighting and additional connectivity slots. But if you check out its lighter market price and calculate its value per dollar, this model will always come out on top. The enhanced memory bandwidth which makes overclocking control easier alone makes a convincing case for enthusiasts when shopping for a $200+ board. If you are conscious about VRM temperatures and overclocking reliability, you should seriously consider the EVGA Z370. The board drops out extras most would never really use in exchange for top of the line performance to stretch out your every dollar’s worth. The Asus Prime X370-Pro is a practical choice if you want overclocking prowess and numerous features in a sub-$150 package. This model saves on cost by omitting unnecessary features such as oversized heatsinks but remains essentially similar to its upmarket cousin. Still, the silver and gray theme with a subtle RGB LED layout should appeal to minimalist enthusiasts who want a clean looking motherboard that doesn’t over exaggerate on aesthetics. This model sacrificed U.2 functionality, but it still includes two PCI-E 16x lanes which are reinforced to handle even the meatiest GPUs and avoid sagging. There are four DIMM slots that can hold up to 64GB of 3200MHz OC memory, plus M.2 compatibility for lightning-fast storage devices. You also get an Intel LAN port instead of Realtek, plus USB-C connectivity for future proofing. 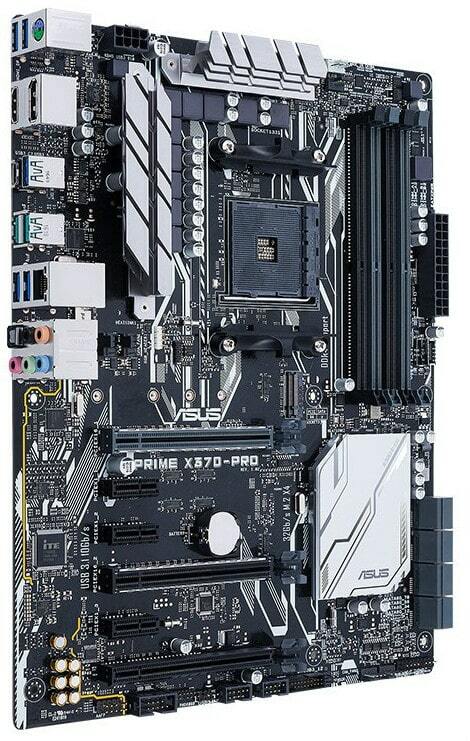 The Asus Prime X370-Pro includes easy to use software including a very friendly BIOS for easy tinkering to achieve an overclock. Features such as FanXpert help keep your temperatures at bay by intuitively controlling the fans, while AISuite should help you maximize your Ryzen processor’s maximum potential. The Asrock X370 Killer SLI/AC is a full-featured motherboard which is a practical choice if you want to pair it with a Ryzen 7 chip. This model allows you to make the most out of AMD’s latest processors by including USB-C functionality, a gigabit Ethernet port, and six USB 3.1 slots for convenience. It also offers both digital and analog audio solutions for your speakers, plus a built-in Intel Wifi antenna in case you want to go wireless. This model is one of the first to offer AMD’s Agesa 1.0.0.6 Update which opens up a more mature memory compatibility. The patch enables users to run overclocked speeds on all four DIMM slots in speeds of up to 2933MHz, much to the delight of Ryzen users. The Asrock X370 Killer SLI/AC isn’t the fastest in synthetic benchmarks, but its efficiency and performance per dollar make it a top choice. Reviewers and enthusiasts consider the Asrock X370 Killer SLI/AC as a fantastic alternative to high-end boards since the performance numbers are mostly the same. This offering doesn’t include the grandest RGB LED schemes in the market, but its white and black scheme fits in with most tastes and other component’s aesthetics. Get this board if you are after efficient performance packed with future-proof and proven accessories for seamless gaming and overclocking experiences. The competition in the high-end segment heats up starting with the uber-popular Asus ROG Maximus IX Formula, the latest iteration of the top mainstream motherboard from the Republic of Gamers. This model is one of the most expensive Z270 boards in the market, but its looks and performance cannot be denied. The Asus ROG Maximus IX Formula is one of the best overclocking motherboards out there since it easily reaches the 5Ghz range which a lot of enthusiasts have been going nuts about for a few years. This aspect is the main focus of the ROG line of motherboards, so spending the extra cash if you have it on the Maximus IX Formula isn’t so bad. Enthusiasts who want maximum power from their PCs will probably use water cooling instead of the usual. What makes the ROG Maximus IX Formula special is the Cross Chill EK II water block embedded into the PCB. You can easily integrate this motherboard into your cooling loop to keep its VRMs and safe from overheating, potentially extended your overclocking headroom and the lifespan of the device as well. Of course, Asus did not forget to include an array of necessary features such as dual M.2 slots, multiple USB 3.1 ports including some for the front panel, plus onboard 802.11ac Wi-Fi. The I/O shield is integrated into the board, making it durable and neat looking. The PCB itself is reinforced with a backplate to ensure you don’t bend the board with the heft of your GPU or heatsinks. As sophisticated as the other features, your audio is also upgraded to SupremeFX with exclusive codecs for Sonic Studio III and Sonic Radar III. The Asus ROG Maximus IX is a case of over-designing, but we can say that it isn’t in bad taste. Half of the board is covered in an aluminum armor which protects its sensitive components while looking mean. The two GPU slots are reinforced with metal so they can handle your monumental GPUs. As icing to the cake, this motherboard features Asus’s Aura Lighting aesthetic, which is spread all over the board in the right places making any rig worthy of the best build award. The MSI Z370 Godlike Gaming provides the best features and most solid performance out of all the Z370 motherboards we have checked out. This board beats every other comparable model in almost all of the available synthetic benchmarks, almost bringing its performance capabilities into X299 category. If you simply want a mainstream processor like the i7 8700K, this motherboard is a perfect pair. With the MSI Z370 Godlike Gaming, you also get the best equipment to push every aspect of your computer’s performance to the limits. Networking is handled by a Triple Gigabit Ethernet controller, WiFi compatibility, and Killer xTend Technology. You also get triple of everything such as CPU-fed PCIe slots and M.2 connectors. Valuable accessories such as a PCIe to dual M.2 adapter and a Rainbow RGB strip are included so you can maximize your high-end build the with the Z370 Godlike Gaming. The Gigabyte Aorus Gaming 9 is the representative for overkill in this line up since it isn’t only the most expensive, but also the most feature-packed. To start, the Gaming 9 includes 16 VRMs solely dedicated to providing power to your CPU Vcore, so overclocking is stable and safe. And like its Z170 Gaming G1 predecessor, this model also includes an EKWB G-Frost Hybrid water block to prevent overheating. The Aorus Gaming 9 boasts of high-end components for maximum performance. With this model, you can utilize up to four graphics cards on the Dual Armor/Durable Design PCIe slots. You also get a pair of M.2 and U.2 slots for ultra-fast storage devices, plus an Intel Thunderbolt 3 controller for the USB-C ports. Of course, your listening experience is also at a premium level since the Gaming 9 includes a 127dB BurrBrown DAC certifying this model for Creative’s 120dB+ category, giving it the Creative ZxRi label. In layman’s terms, the audio solution for the Aorus Gaming 9 is as good, if not better than a mainstream dedicated soundcard. The utilitarian features don’t stop there. You also get eight fan headers with PWM auto-sensors, a four-digit POST code LCD which also displays temperatures and voltage, plus Gigabyte’s arsenal of OC features designed to help maximize your system’s capabilities. The white shielding is a pleasant change of pace from the typical red and black, but you can customize your rig’s looks further since the Gaming 9 includes the most RGB LED lights and controllers we have seen on most motherboards. 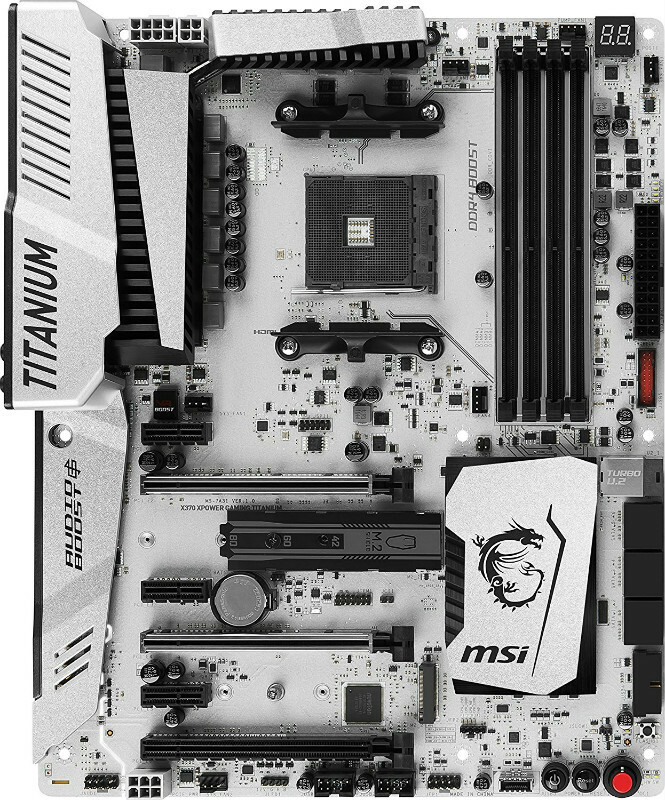 The Titanium series of motherboards from MSI have garnered preference and popularity in the enthusiast crowds for their excellent performance and feature packages with a unique white metal scheme. The X370 variant, like the option above, isn’t a slouch thanks to its flagship-grade functionality. This offering is one of the first AM4 boards to offer dual m.2 slots for maximum storage capacity. The primary slot runs at maximum speed, while the secondary will only give you PCIE 2 operation which still is plenty at 2GB/s. For accessories and peripherals, there is a total of seven USB receptacles with one running at version 3.1. If overclocking is the main concern, you can’t go wrong with the MSI X370 Xpower Gaming Titanium. Simply setting voltage to the recommended 1.45V enables your Ryzen CPU to reach 4GHz easily without too much fuss via the responsive and easy to use UEFI BIOS. there is also a Game Boost button if in case you want to slighly push the performance a bit without experimenting on voltage and other settings in the Bios. Like all the XPower Gaming boards, the X370 variant includes one of the best aesthetics in the market. The oversized heatsinks make cooling the multi-phase VRMS easy as peas while giving the product its meaty look. This version also includes MSI’s Mystic Light Sync for full customization, unlike other variants which only have white LEDs. 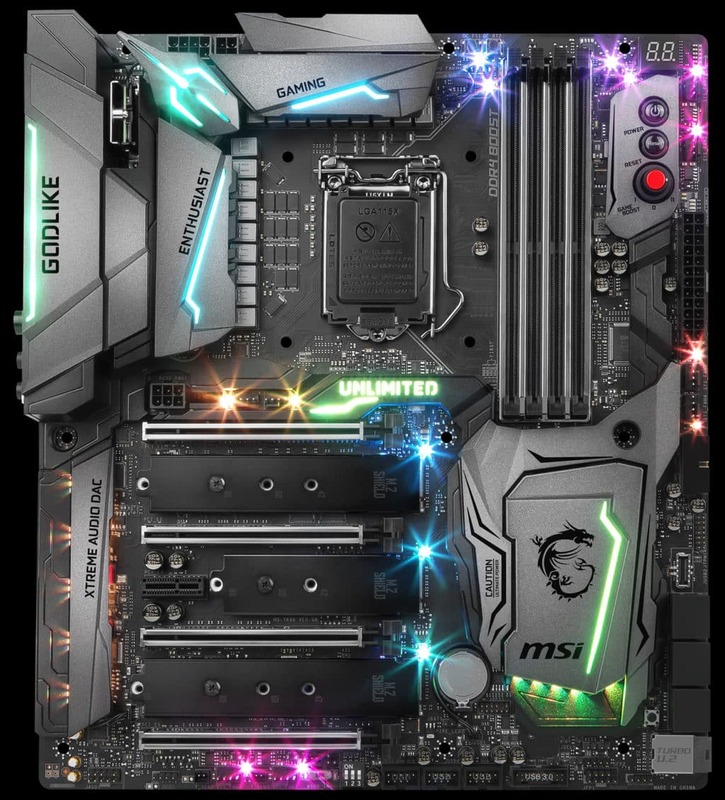 The Gigabyte X299 Designare is a unique, silver and blue-themed HEDT motherboard that focuses on solid OC performance and Intel’s Thunderbolt 3 connectivity. For USB-C monitor and laptop owners, having a compatible desktop PC is a must if connectivity convenience is a concern. 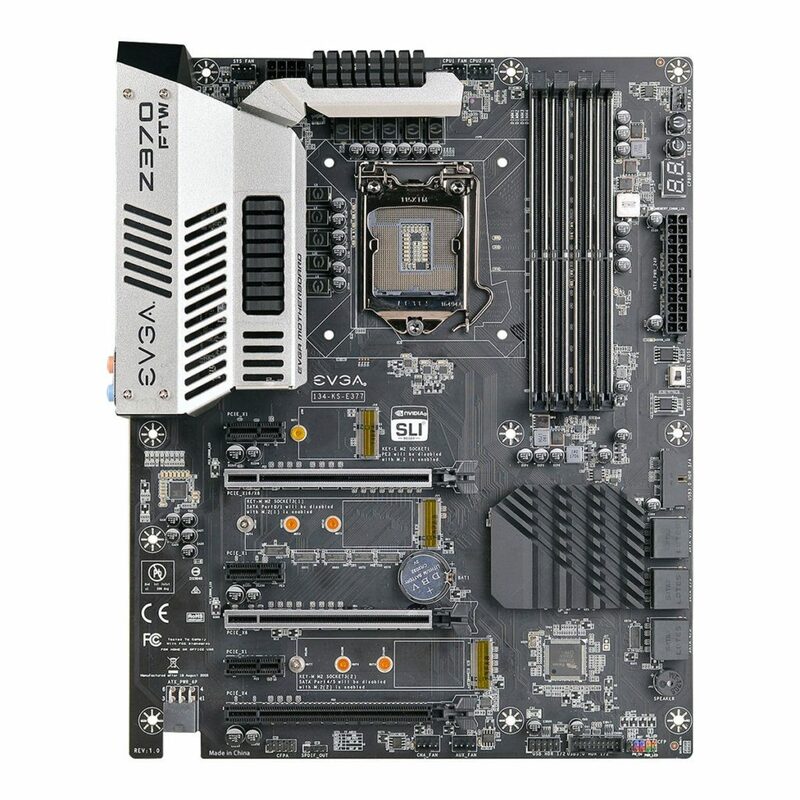 Of course, the Designare still is a full-featured board with multiple PCIe slots and accompanying M.2/U.2 ports. CPU and DRAM overclocking performance is mostly on-par with competitors, although you sacrifice a bit of energy and thermal efficiency with this option. Although, for most HEDT builders, this aspect isn’t a concern since high-end desktops will always be power hogs. The Gigabyte X299 Designare EX is built like a tank with solid shields and protectors, plus you also get a durable backplate that covers the whole PCB. Networking is as solid as the build, since your connection is secured by a Dual Ethernet controller and a 867MB/s Wi-Fi module, plus two DisplayPort passthrough slots for your monitors. The X299’s multitude of monitor configuration options makes it one of our favourites in this round up. 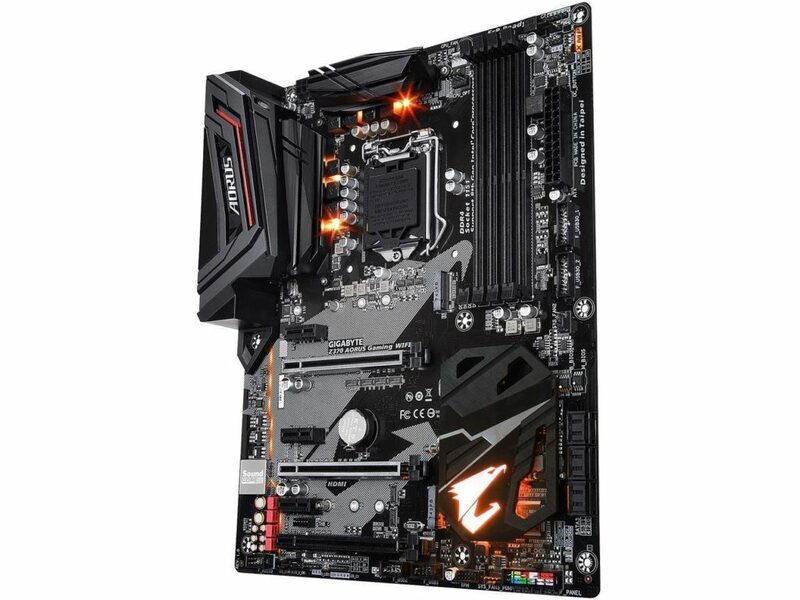 The Asrock Fatal1ty X299 Professional Gaming is a reasonably priced enthusiast board that includes functional features instead of flashy extras. This board offers the cheapest 10GbE solution on the market which extends its value per dollar to make it suitable for the taste of the masses. You sacrifice extra slots and a faster WiFi capability with this model, but its gaming and synthetic performance scores are difficult to ignore. The Asrock Fatal1ty X299 Professional Gaming can match higher-priced boards from MSI and Gigabyte in demanding games and overclocking while consuming a reasonable amount of power. This model achieves decent CPU and DRAM clocks at a fairly lower price, so unless you care for the extra bling, this option is a practical choice. If you are after the essentials and want a reasonable performance per dollar ratio, or if you hate RGB lighting, the Asrock Fatal1ty X299 Professional Gaming and it’s hard to beat 10GbE solution is a great choice. The board’s solid performance is tough to beat at this price point, and the stealthy aesthetics should be appealing to builders who focus on less gaudy designs. The MSI X399 Gaming Pro Carbon AC isn’t as expensive as competitor offerings, but it is one of the best overclockers in the range. AMD’s modern processors benefit a lot more from RAM speeds, and thankfully, pushing for DDR4 3200MHz is easy as peas on this iteration. The four PCI-E slots with metal reinforcements support up to three-way SLI while the fourth is dedicated for SSDs and other non-GPU components. Each of the PCI-E receptacles is reinforced with a metal armor which is stronger than most applications, so you can attach dual or triple slotted GPUs without worrying about sagging or damage. Speaking of storage, the MSI X399 Gaming Pro Carbon AC can support up to three NVMe SSDs in between the GPU slots. This arrangement minimizes latency and power consumption to reduce the loads these drives will use, while the individual heatsinks help to avoid heat throttle. This enthusiast motherboard also includes a superb connectivity suite despite having a lower SRP than its competitors. There are six USB 3.0 headers at the I/O panel plus two USB 3.1 Gen2 for modern applications. The Intel-based LAN card provides gigabit networking with reduced ping, but there is also a reusable Intel 802.11 AC Wifi card with Bluetooth that you can use on one of the PCI slots. One of the features we love on the MSI X399 Gaming Pro Carbon AC is the customizable heatsink covers which you can swap with MSI’s separately sold alternatives or your own 3D-printed version. This gives owners the chance to synchronize the motherboard’s scheme with planned cooling and lighting solutions to extend the aesthetic and personal value of your Threadripper PC. 1. Form Factor. The first thing to consider when buying a gaming motherboard is its size. There are currently 3 popular motherboard sizes although there is also one that is much bigger but not really something that people would want to buy. The three popular motherboard sizes are the ATX, mATX, and the mITX. The ATX is the standard sized motherboard which contains the usual stuff like complete PCIe slots and a whole lot of other features. mATX, or microATX, is a much smaller motherboard that sacrifices some things like PCIe slots in favor of a smaller motherboard.They also tend to be much cheaper than the standard ATX. And finally, the mITX, or mini-ITX, is the smallest of the three and typically measures about 170mmx170mm. They are relatively power efficient and because of its small form factor, there are plenty of cases you can choose from. Of course, the drawbacks is that it has much fewer features than the previous two motherboard sizes but to each his own. There is also another motherboard size called the eATX which is much larger than the standard ATX motherboard. Because of its much bigger size than the original, most people veer away from it. But, with bigger size comes more features. Choose which things you are willing to compromise and when you’re buying a motherboard, always look at the case you’re going to put it in. 2. Socket. 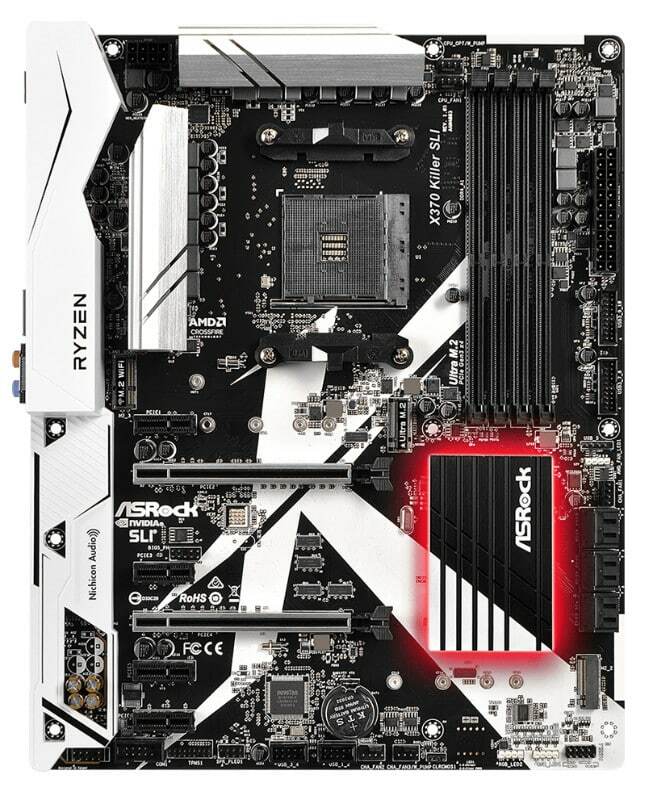 Have you noticed the word “socket” followed by a number right beside it when you’re shopping for motherboards? Every motherboard has that because it signifies that it only supports this type of processor socket. In the case of the Kaby Lake and Kaby Lake processors, for example, they use the Socket 1151. 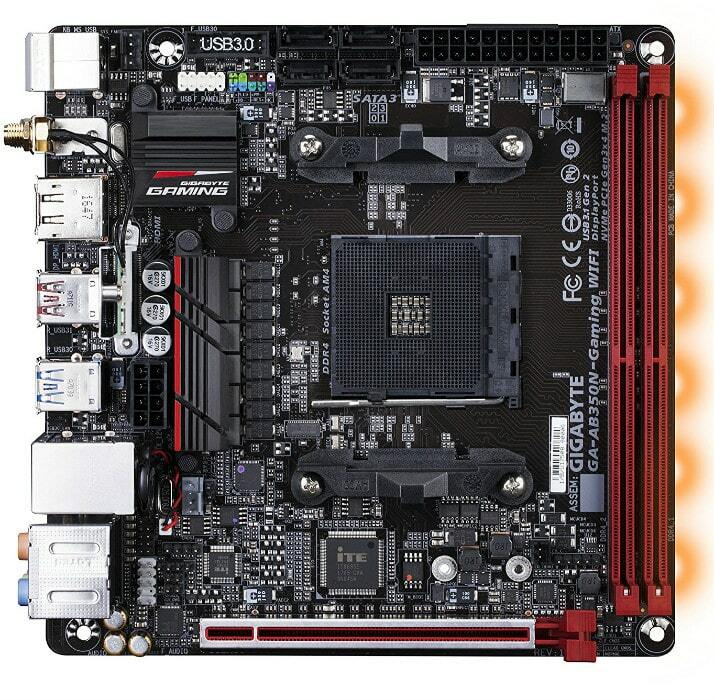 Therefore, you need a motherboard that supports this socket so that you can use the latest processors on the market. 3. DIMM/RAM. The next thing you need to look at is the DIMM or RAM slots. It usually depends on the motherboard size you’re going to buy. For standard ATX motherboards, you will usually get 2-4 RAM slots. For mATX and mITX, it usually has only two DIMM slots although some mATX motherboards come with four. As much as possible, get a motherboard with at least four RAM slots. Even though you’re going to buy one or two RAM sticks for now, having additional RAM slots will allow you to add more in the future. 4. SATA and M.2 Ports. Storage like SSDs and HDDs are also important for the computer. Therefore, you need to have enough SATA ports to plug them all in. For every storage device you have, you will need one SATA port. For example, suppose you have three HDDs and one SSD, you will need a total of 4 SATA ports available. If you really want to have better performance, you will want to get an M.2 SSD. If you’re going to buy one, make sure to check if the motherboard of your choosing supports it and if it has the appropriate slots. 5. PCIe Slots. Since we’re talking about gaming motherboards, I know that you want a discrete graphics card to enjoy the superb graphics of modern games. In this case, you will need a motherboard that has enough PCI Express slots. Typically, you would want a PCIe x16 for the main graphics card and if you want to do multiple GPU setups, you will need more PCI Express slots. You will also find PCI slots that are smaller. They are usually used for other things like sound cards, wifi adapters, etc. 6. USB Ports. We now live in a world where USB ports are highly beneficial. We use external HDDs, USB flash drives; heck, most of the modern gaming peripherals now require USB ports as opposed to the now defunct PS/2 ports. Luckily, Kaby Lake motherboards offer plenty of USB ports. For most of them, they offer at least 6 USB ports but motherboards like the Z170 gaming motherboards offer 10 or more. 7. Durability. Motherboards are important because it houses the graphics card, CPU, and a host of other things that your computer needs to run. If the motherboard dies, all of the other components in your gaming PC will not function. Durability is also a thing to consider when buying a gaming motherboard. For the most part, motherboard manufacturers are already using durable parts in the construction of their products, so you need not worry too much about durability anymore. But if you want a motherboard that can last for more than 3 years, better look at the spec sheet to see if it is made of highly sturdy materials. 8. Extra Features. And lastly, you would want to have a gaming motherboard that has a ton of extra features. Usually, gaming motherboards have good onboard audio solutions and there are some motherboards that are perfect for overclockers as well. Although they are completely optional, you will want to have a gaming motherboard that has a lot of welcome features that you want. Gaming motherboards always complement gaming PCs as they house all of the most important components of your rig. What makes them different from the standard motherboard is that they provide the owners’ features that are not normally present in normal mobos. I just love the fact that gaming motherboards are affordable now. Before, you can equate gaming motherboards to premium-priced stuff. Now, there are gaming motherboards that cater the vast consumer market. Whether you’re a heavy overclocker, a rig enthusiast, or if you’re just someone who wants to dish out minimal amounts of cash, there is a gaming motherboard for you. I hope that this article can help you decide which gaming motherboard you’re going to buy. I know that not all of you will agree with my recommendations in this article. So, if that is the case, feel free to suggest what gaming motherboards people should buy and why in the comments. Now, Go back up to choose the best Motherboards for Gaming for you from our handpicked choices. **NO AM4 motherboard** reviews here! We appreciate your feedback. We’ll be updating soon. Hey there, I have a quick question does the MSI pro carbon support live streaming on twitch well. I am looking into building my first gaming computer. Unfortunately I am not loaded with cash to dish out for top of the line parts. As long as it can Play games like Black Desert Online, and Tera while streaming I would be perfectly happy. I appreciate any advice you may have for a first time builder as well. Hi there, Randy! You shouldn’t have any issues streaming on the MSI Z270 Pro Carbon since it supports the fastest GPUs and RAM kits available today. Streaming falls more on these parts more than the mobo, so as long as you have meaty specs, you shouldn’t run into any issues. Good luck with your build and enjoy! I love ur damn well explanation bout mobo’s !! Its really easy to understand !! Love it ! Keep it up man .. Thank you for the kind words and for reading our articles, Syam! We will do our best to keep the quality of our work high for readers like you.